Since opening in December, Crossroads Collective—a.k.a. one of the city’s first “food halls” located in the former Oriental Drugs space on the East Side—has been great. It has also had two open spots in its collection of “micro-restaurants.” Now, Egg & Flour Pasta Bar is scheduled to set up shop in one of those spots, joining Heaven’s Table BBQ, The Laughing Taco, Falafel Guys, Frida (soup and sandwiches), Beerline Café (veggie and vegan crepes), and Scratch Scoop Shop (ice cream). Milwaukee, WI – Monday, February 11, 2019 – Chef Adam Pawlak is slated to open “Egg & Flour Pasta Bar” in one of two remaining open spots at the newly opened Crossroads Collective. Crossroads Collective is one of Milwaukee’s latest food and beverage concepts and the city’s first Food Hall, respectively. Pawlak opens Egg & Flour after leaving his post as Executive Chef of Walker’s Point restaurant, Black Sheep. Egg and Flour is slated to open mid-March. Egg & Flour will be a first of its kind in the Milwaukee market; offering fresh (that morning) pasta with a variety of different and ever changing noodle (pasta) and sauce combinations, again, all made fresh daily. Egg & Flour will be unique in its way of providing a high end, fresh pasta experience at fast casual prices. Diners can expect handmade raviolis, tortellini’s, agnolotti, and a variety of fresh extruded pasta such as linguine, rigatoni, fusilli, shells of all sizes, and much, more…including “zoodles” for gluten intolerant and vegan guests. Pawlak brings on board a team of experienced business people to support the venture including Cousin and Milwaukee entrepreneur Tony Goff of Goff Enterprises and This Time Tomorrow Foundation. Goff is a lifelong entrepreneur with a successful history of building brands within manufacturing, music and non-profit sectors; Randy Rhoades, a 25 year professional with high level sales and marketing experience, currently serving as an account executive for a leading women’s healthcare company; Alex Anderson, one of Milwaukee’s top Real Estate Agents and Investor with Power’s Realty Group, bow-tie connoisseur, and avid world traveler; and finally Wes Shaver, a ten year veteran of Milwaukee’s food, beverage and hospitality community. Adam comprised the team of professionals to focus on specific elements of the business. 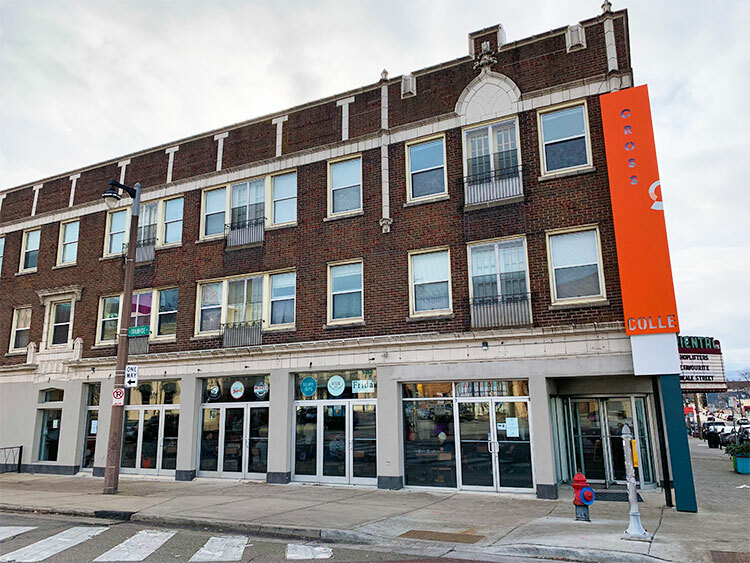 The initial launch of Egg & Flour at Crossroads Collective is the seed for what will be a growing concept that will find homes in areas around the metropolitan Milwaukee market and beyond. “I’m excited to help Adam and the team launch this concept; from a brand and guest experience, we really have the ability to break into an untapped market with fresh pasta and give people another great fast-casual option that doesn’t skimp on quality or value,” said Shaver. Pawlak will be exercising traditional and nontraditional techniques to make the pastas; using handed down, family techniques as well as some “new school” or more technical ways of preparing them. Egg & Flour will have a consistent menu of favorites and staples (including a take on mac n’ cheese, classic Bolognese) on the menu daily, but will also change and rotate stuffed pastas, and Chef features and more, to continually offer something different.